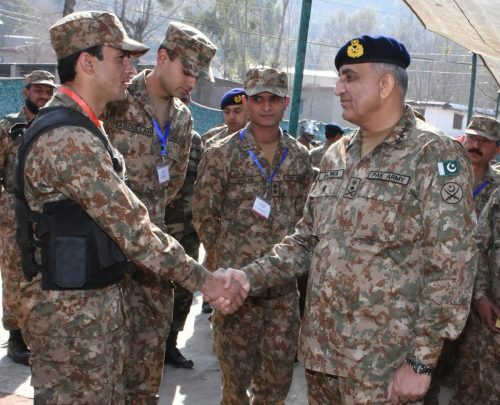 SIALKOT (92 News) – Chief of Army Staff (COAS) General Qamar Javed Bajwa visited the Line of Control and Working Boundary in Khuiratta / Ratta Arayan sectors on Monday. According to the ISPR, local commanders briefed the COAS about Indian ceasefire violations, specifically targeting civil population, across the Line of Control / Working Boundary. The COAS appreciated effective and a responsible response of own troops to Indian unethical targeting and high morale of troops and civilians. He directed enhanced protective measures, including construction of more community shell protection shelters, for civil population. 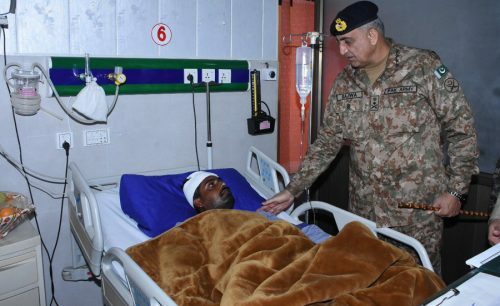 Later, COAS also visited CMH Sialkot to meet citizens injured due to recent Indian shelling. Commander Rawalpindi Corps Lieutenant General Nadeem Raza and Commander Gujranwala Corps Lieutenant General Amir Abbasi were present during the visit.